Just print this activity sheet out for the kids in Sunday school or use for Children's Church. 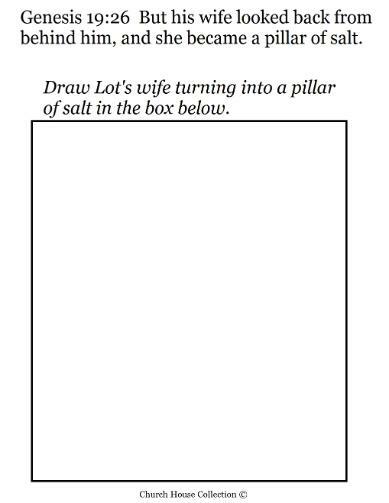 Have them draw a picture using crayons or markers of Lot's wife turning into a pillar of salt. They could draw Lot and his two daughters and the city of Sodom and Gomorrah burning from the fire falling from the sky. 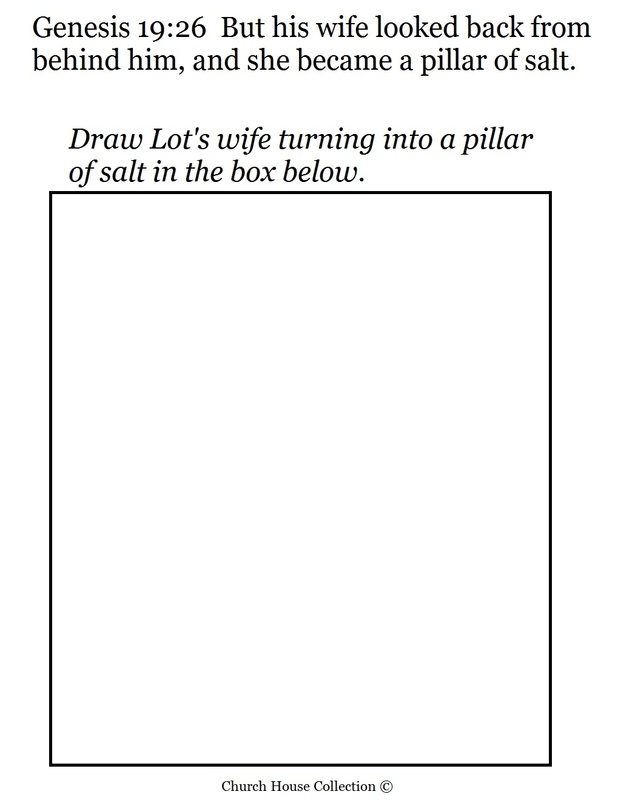 Use this activity to go along with a lesson on Lot's wife turning into a pillar of salt. We have a lesson that includes a coloring pages, maze, and more to go with it.